Total revenues in the third quarter of 2008 increased to CNY919.1 million, an 85.1 % increase from the corresponding period in 2007. Operating profit increased to CNY368.3 million, representing a 119.1% increase from the corresponding period in 2007, and net income rose to CNY347.9 million, representing a 91.4 % increase from the corresponding period in 2007. The number of active online marketing customers rew to over 194,000, an increase of 7.2% from the previous quarter. 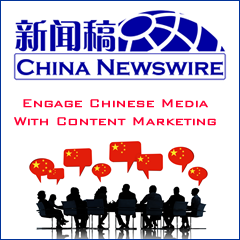 Online marketing revenues for the third quarter were CNY918.2 million, representing an 85.1% increase from the third quarter of 2007. Growth was mainly driven by increases in both the number of active online marketing customers and revenue per customer. Revenue per active online marketing customer for the third quarter increased to approximately CNY4,700, a sequential increase of 6.8% and an increase of 34.3% from the corresponding period in 2007. Operating profit was CNY368.3 million, representing a 119.1% increase from the corresponding period in 2007. Operating profit excluding share-based non-GAAP compensation expenses was CNY385.3 million for the third quarter of 2008, a 122.0% increase from the corresponding period in 2007. As of September 30, 2008, Baidu's cash, cash equivalents and short-term investments amounted to CNY2.3 billion. Net operating cash inflow and capital expenditures on a cash basis for the third quarter of 2008 were CNY482.2 million and CNY85.1 million, respectively.